Since Google decided to change the Android Market to the Google Play Store without warning or much of a push to try to educate users, companies like Verizon are stepping in to help. 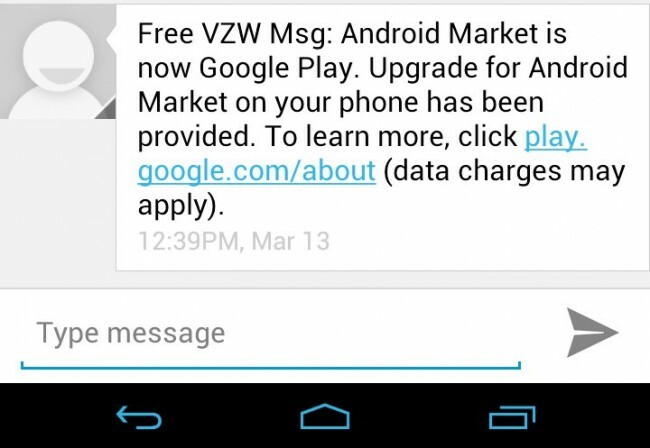 Text messages have been sent out to the majority of their Android customers over the last week, reminding them that the Android Market is gone and is now called Google Play or “Play Store” in your app drawer (can we get more confusing than that?). And while the DL community is already up to speed on this, I suggest that you inform all of your Android friends of this change. Each family member of mine with an Android phone had no idea that this had happened and was completely confused at least once in the last week when entering their app drawer. 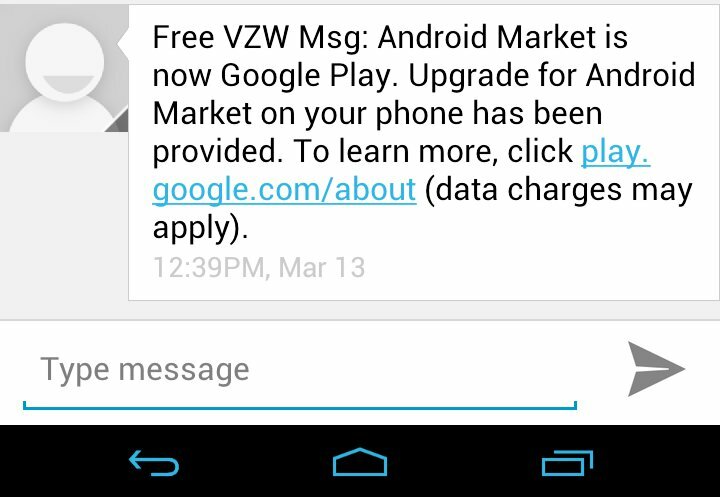 I had to tell them to look for “Play Store,” but that was of course after their market updated and then refreshed. My instant reaction to this change was, “Yeah, makes sense in the long haul.” After all, music, books and movies are more than just Android, so creating a more generic store term is probably the right call. The potentially wrong call here is the name, which most of us still can’t understand. Why not call it the “Google Store” or “Google Market.” Sure, Google Play sounds catchy and the promo team can use it to run promos for “Play of the day!” but it seems like a half-discussed move by execs. So again, spread the word. Tell your friends, family members and co-workers that the Android Market is gone for good and that all of their media consumption will happen through the Google Play Store. Cheers Chris and everyone else that sent these in! Samsung Starting to Rollout Ice Cream Sandwich Officially, Coming to Tabs 10.1 and 8.9 "Soon"